Pictured above are speakers of the forthcoming Cutter Summit. Between the seventeen of us we will cover a broad spectrum of IT topics such as Agile, Enterprise Architecture, Business Strategy, Cloud Computing, Collaboration, Governance and Security. Inter-disciplinary seminars, panels and case studies will weave all those threads together to give participants a clear view of the unfolding transformation in IT and of the new way(s) companies are starting to utilize IT. Click here for a details. How Often Should the Project Team Regroup? In the course of going through a subset of these building blocks, we will cover the latest and greatest from the October issue of the Cutter IT Journal on technical debt, present two case studies, and conduct a few group exercises. But if people are already reluctant to run the things they have, on another platform they already have, on an operating system they are already familiar with (Linux on zSeries), how can you expect them to even look at cloud computing seriously? Every technological advancement requires people to adapt and change. Human nature is that we don’t like that, so it often requires a disaster to change our behavior. Or carefully planned steps to prove and convince people. However, nothing makes IT people more cautious than a hype. 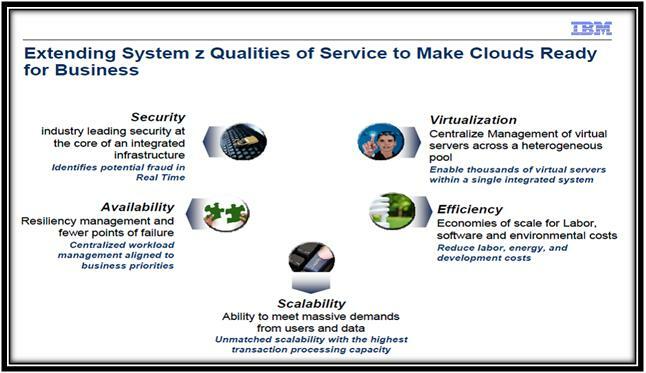 And that is how cloud is perceived. When the press, the analysts and the industry start writing about cloud as part of the IT solution, people will want to change. 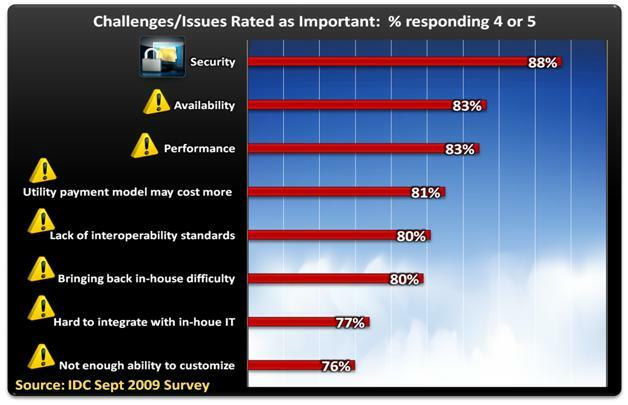 Now that it’s presented as the silver bullet to all IT problems, people are cautious to say the least. Today, the Cloud era has only just begun. Despite lingering doubts, growing concerns and wide-spread confusion (especially separating media and vendor spun hype from reality), the IT industry generally views Cloud Computing as more appealing than traditional ASP /hosting or outsourcing/off-shoring. To technology-centric startups and nimble entrepreneurs, Cloud Computing enables them to punch above their weight class. By turning up-front CapEx into a more scalable and variable cost structure based on an on-demand pay-as-you-go model, Cloud Computing can provide a temporary, level playing field. Similarly, many budget-constrained and cash-strapped organizations also look to Cloud Computing for immediate (friction-free) access to “unlimited” computing resources. 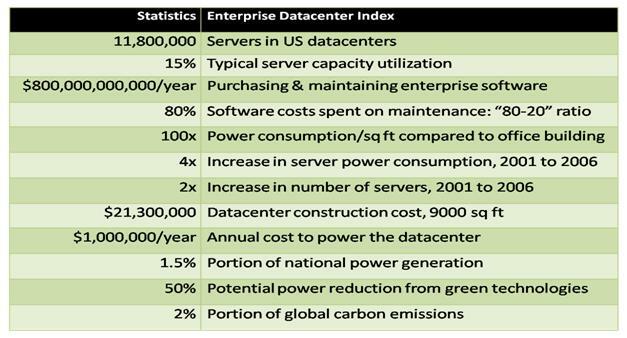 To wit: Cloud Computing may be considered as a utility-based alternative to an on-premises datacenter and allow an organization (notably cash-strapped startups) to “Think like a ‘big guy’. Pay like a ‘little guy’ ”. The dominance of Cloud Computing as a computing platform, however, is far from a fait accompli. Nor will it ever be complete, a “one-size fits all” or a “big and overnight switch”. The shape of computing is constantly changing but it is always a blended and gradual transition, analogous to a modern city. While the cityscape continues to change, a complete “rip-and-replace” overhaul is rarely feasible or cost-effective. Instead, city planners generally preserve legacy structures although some of them are retrofitted with standards-based interfaces that enable them to connect to the shared infrastructure of the city. For example, the Paris city planners retrofitted Notre Dame with facilities such as electricity, water, and plumbing. Similarly, despite the passage of the last three computing paradigm shifts – first mainframe, next Client/Server and PCs, and then Web N-tier – they all co-exist and can be expected to continue in the future. Consider the following. Major shares of mission-critical business applications are running today on mainframe servers. Through application modernization, legacy applications – notably Cobol for example – now can operate in a Web 2.0 environment as well as deploy in the Cloud via the Amazon EC2 platform. Cloud Computing can provide great appeal to a wide swath of organizations spanning startups, SMBs, ISVs, enterprise IT and government agencies. The most commonly cited benefits include the promise of avoiding CapEx and lowering TCO to on-demand elasticity, immediacy and ease of deployment, time to value, location independence and catalyzing innovation. However, there is no magic in the Cloud and it is certainly not a panacea for all IT woes. Some applications are not “Cloud-friendly”. While deploying applications in the Cloud can enable business agility incrementally, such deployment will not change the characteristics of the applications fundamentally to be highly scalable, flexible and automatically responsive to new business requirements. Realistically, one must recognize that the many of the challenging problems – security, data integration and service interoperability in particular – will persist and live on regardless of the computing delivery medium: Cloud, hosted or on-premises. “The author combed through the contemporaneous business and technology press to learn what ‘experts’ were saying as manufacturing switched over from steam to electrical power, a process that took about 50 years to complete.” – Andrew McAfee, September 21, 2009. I will go one step further and add quality to Annie’s list of challenging problem. A crappy on-premises application will continue to be crappy in the cloud. An audit of the technical debt should be conducted before “clouding” an application. See Technical Debt on Your Balance Sheet for a recommendation on quantifying the results of the quality audit.